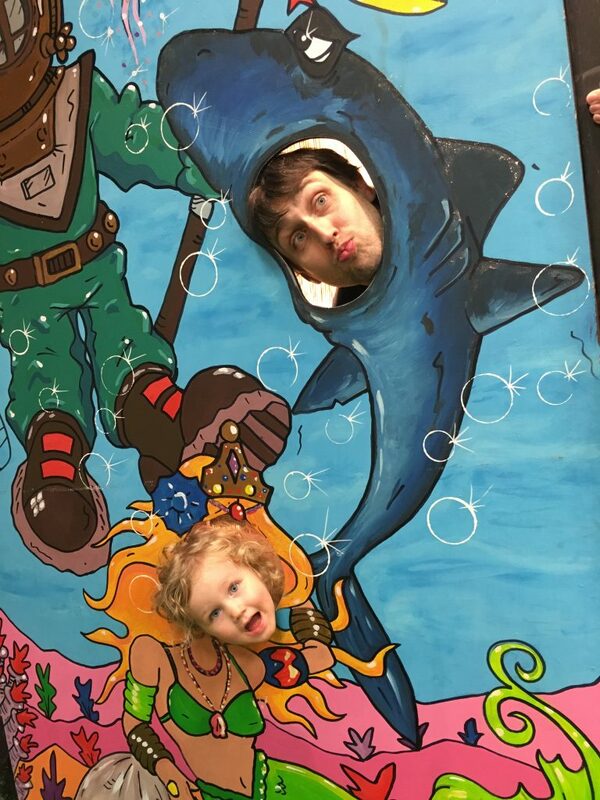 We went to pick the little lady’s daddy up from work last week. 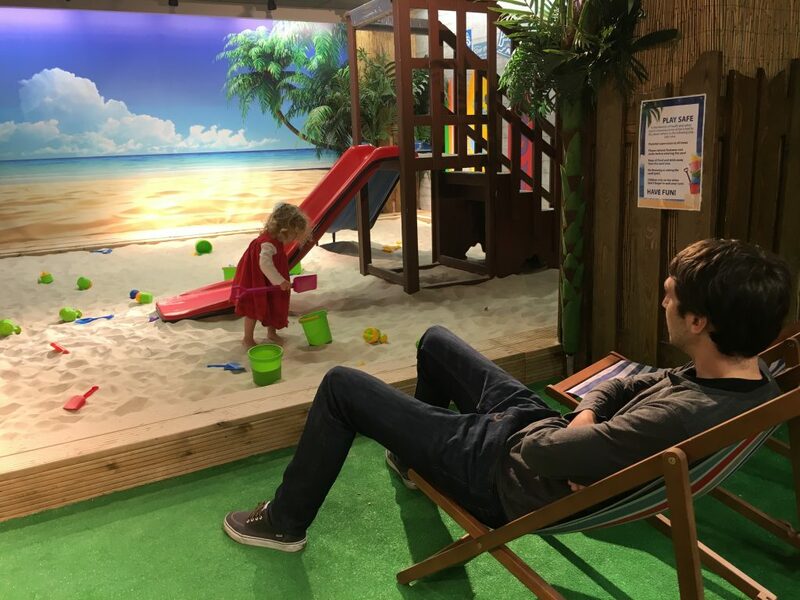 Since he left work slightly early we decided to go and check out the Indoor Beach in the Buchanan Galleries before we made our way back home again. The Indoor Beach is exactly as advertised. And it’s a great idea in Glasgow, because we seem to have already had our share of beautifully tropical weather. In May. For the entire summer. It is a big sandpit (there are apparently 8 tonnes of sand in there!) with a couple of slides, some buckets, spades and wheelbarrows etc. The sand is beautifully soft; like a tropical beach, which although it doesn’t make for great sandcastle building, it does make you feel like you can pretend to be on holiday for a half hour. They also have a mini shop where you can get hot drinks, cold drinks (soft ones, no mojitos I’m afraid) and snacks. The best thing about it (apart from that it’s fun) is that it’s in aid of Glasgow Children’s Hospital Charity. ; half the entry cost goes towards the charity. We’ve been lucky enough never had needed to use Yorkhill (I don’t think I’ll ever call it anything else), but the money the charity raises goes towards some of the vital equipment for the hospital that the NHS budget can’t provide. 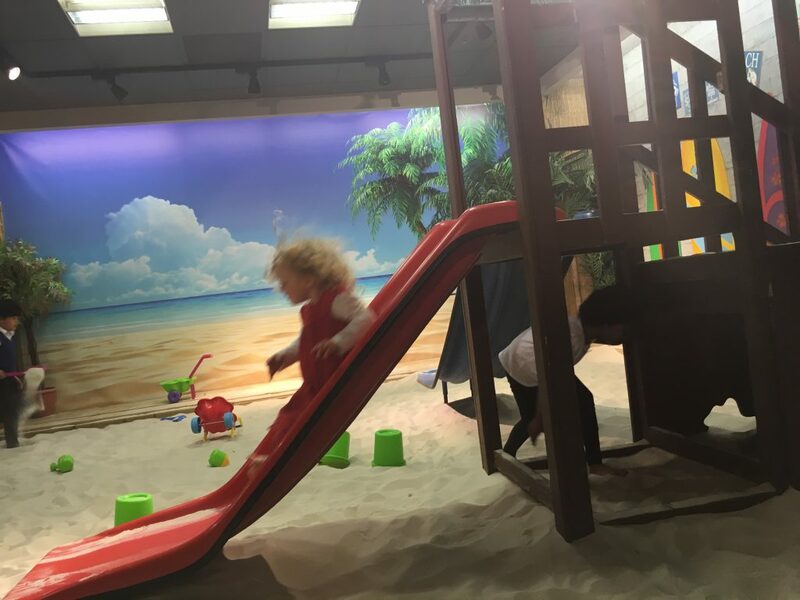 The Indoor Beach is open from 11am until 5pm. Last entry is at 4.30pm. It is located where Gap used to be, at the Sauchiehall St entrance to Buchanan Galleries. It is open until the end of the school summer holidays – the 14th of August. If it’s busy admission times will be every 15 minutes, and a wrist band system will be used to manage the session times. It wasn’t busy when we went along so we didn’t get a wristband but it sounds like we were lucky at the time we chose to go! There are no toilets, so if you have a recently toilet trained toddler I’d advise making sure they go beforehand. 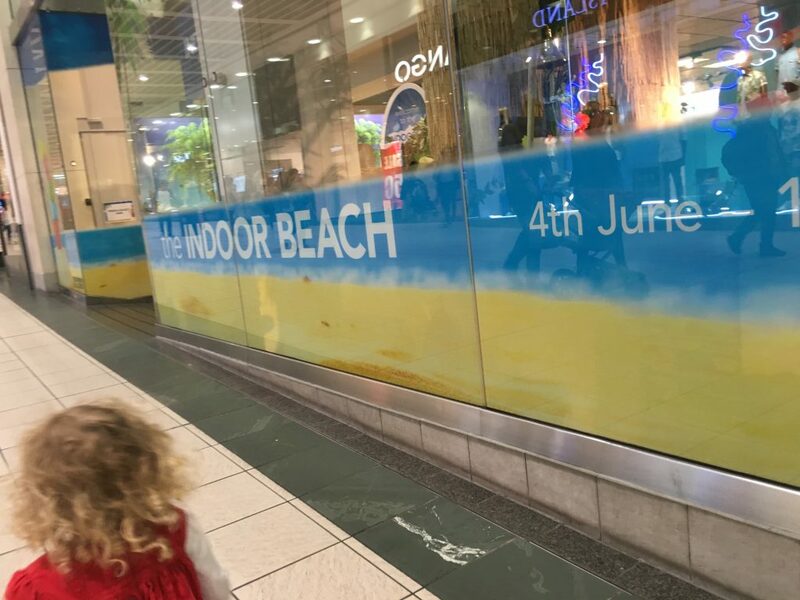 A bit of fluid might make sandcastles happen, but I don’t think pee pee sandcastles are the way forward… The nearest toilets are up a floor in John Lewis. A session lasts half an hour, and a trip to the toilet with the little lady would probably last almost that long! I’d say it’s suitable for infants, toddlers and pre-schoolers, and primary school age kids. Older than that and they might be a bit bored. 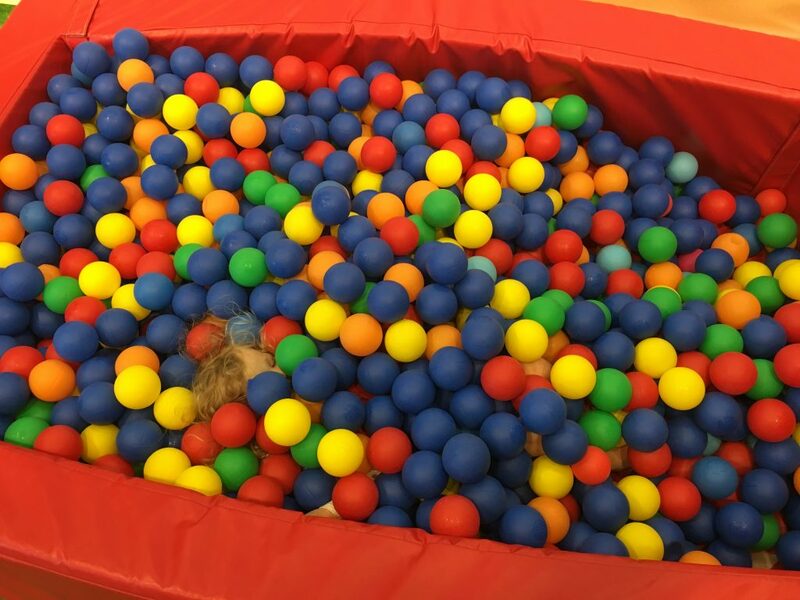 Kids get a 30 minute play session which costs £2. (Parents/guardians go free). As I mentioned above, £1 of that goes towards the Glasgow Children’s Hospital Charity. 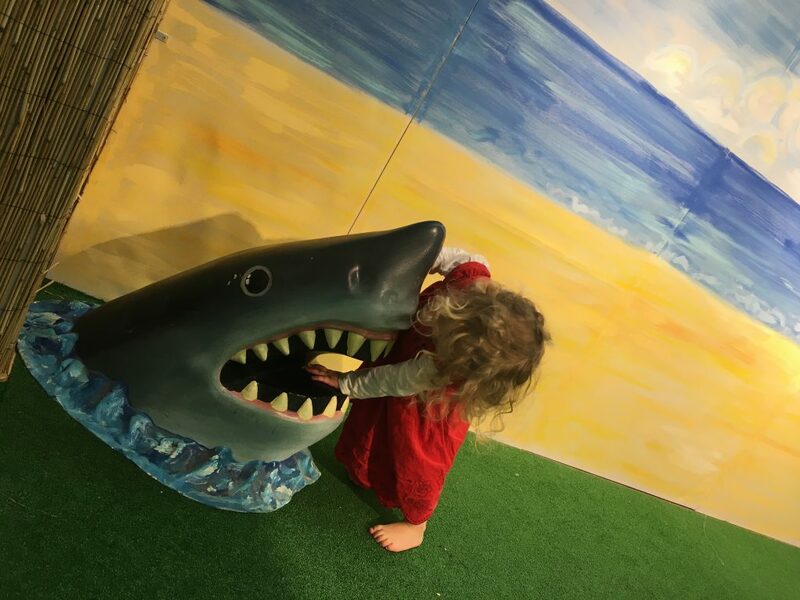 I tend not to take the little lady shopping unless I can avoid it, but the Indoor Beach is a great way to break up the day for her if we are in town for a few hours. The promise of playtime at a Caribbean beach is surely enough to make any toddler be on their best shopping behaviour, right? Also, it’s a great way to support a local, and very important charity. 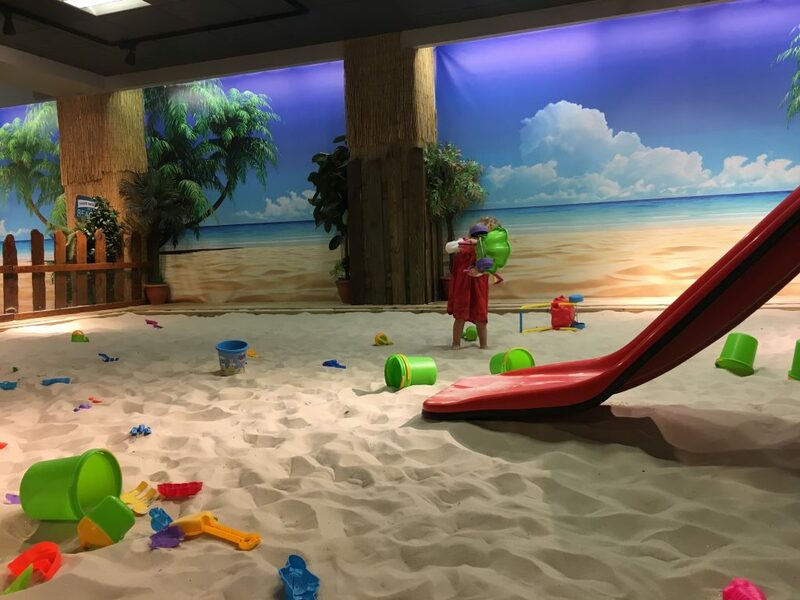 The Indoor Beach is located on the Sauchiehall Mall within Buchanan Galleries, across from River Island where Gap used to be.